Japanese izakayas are one of my favorite kinds of restaurants. What makes them awesome is they serve small plates so you can order a bunch of dishes to share. For my birthday, Alan took me to dinner at Izakaya Sozai in San Francisco (in the ridiculously foggy Inner Sunset neighborhood where people were wearing scarves and beanies)! I’d heard good things about it and was excited to try everything. To start, we ordered the takoyaki—a ball-shaped snack made with chopped up octopus and fried in a flavorful batter—simply because everyone else around us was getting it. I’ve never had it before, but it was delightful. 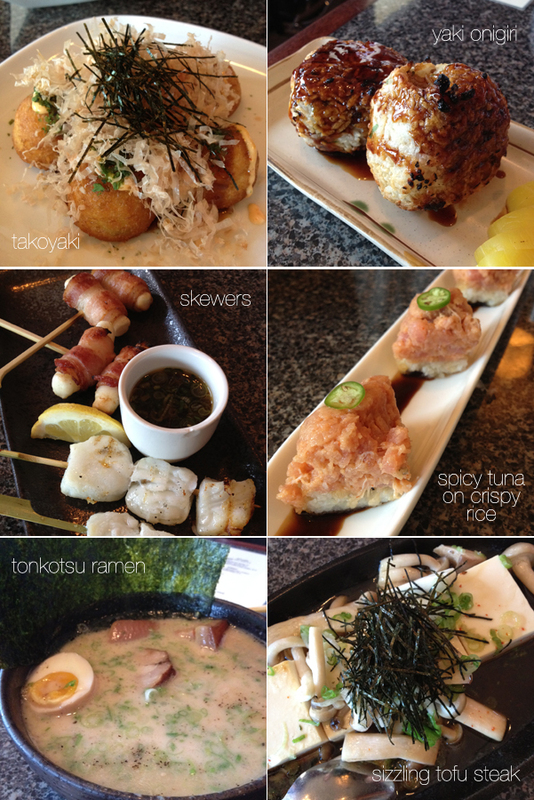 My other favorites were the bacon-wrapped mochi, the Chilean sea bass, and the tofu steak and mixed mushrooms served on a sizzling platter. I wanted to drench everything in that mushroom butter sauce. Alan, who is never impressed with any of the izakayas we’ve been to, had an amazing time. We both agreed it was all so good. The restaurant itself is teensy-tiny, but since our party was just Alan and me, it felt nice and intimate. Have you ever been to an izakaya? What did you think?